Caption slip reads: "Photographer: Monteverde. Date: 1957-06-14. Reporter: Thackrey. 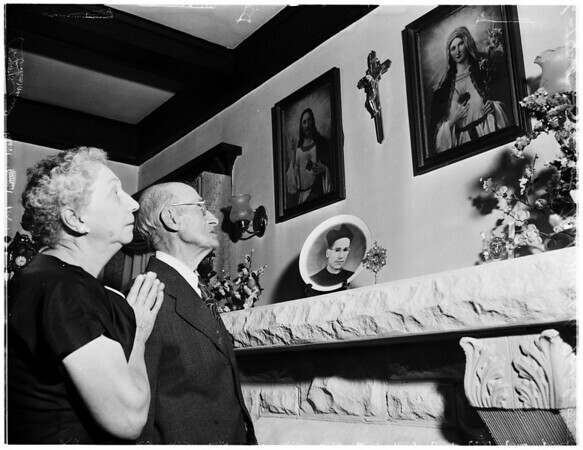 Mr. and Mrs. John Houle, parents of Friar John Houle, recently-released priest now leaving Red Chinese prison, look at pictures of their son. 'Sunday printed'".